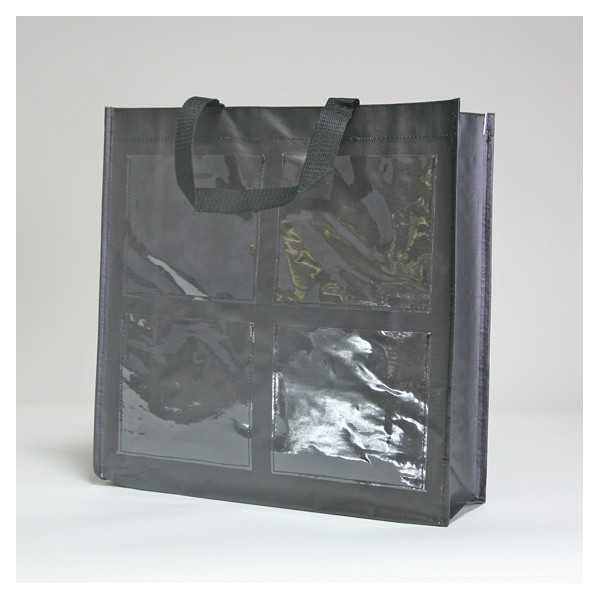 The CROSSPLAST reusable bag is made from woven polypropylene 160 g/sqm plastic. It features sewed handles, bottom, side folds and 4 transparent pockets on each side. A carton contains 100 units. You want to customize this product with your own logo ? Contact our team by email on info@centurybox.be????? By buying this product you can collect up to 188 loyalty points. Your cart will total 188 points that can be converted into a voucher of 1,88 €.